The Machinery Gang, as they were called, consisted of around 50 men who were experts at removing and installing all kinds of large machinery. 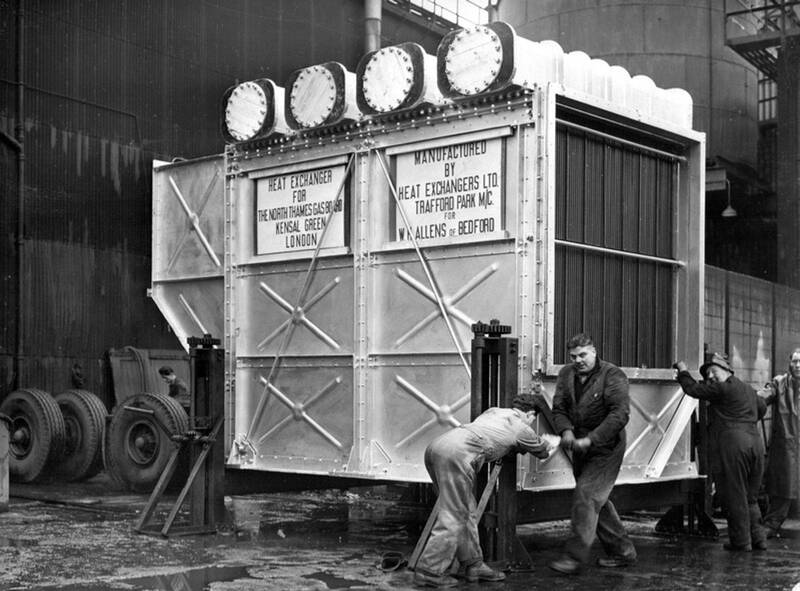 Using their skill and expertise there was virtually nothing they could not move. 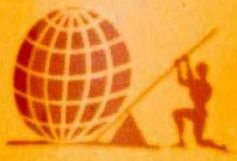 As Archimedes, the Greek mathematician and engineer once said, “Give me a place to stand and with a lever I will move the whole world". 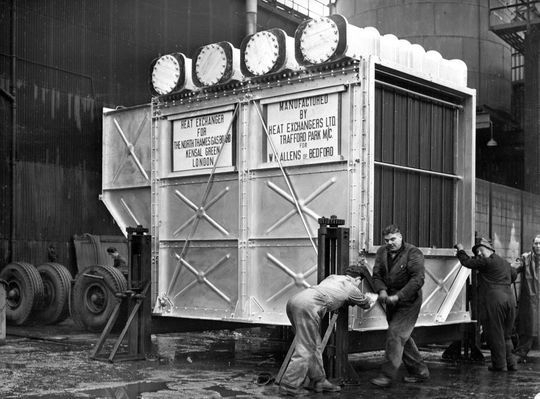 This phrase became the company's trade mark which was turned into a graphic design and incorporated into the company's vehicle livery and on all their stationery. 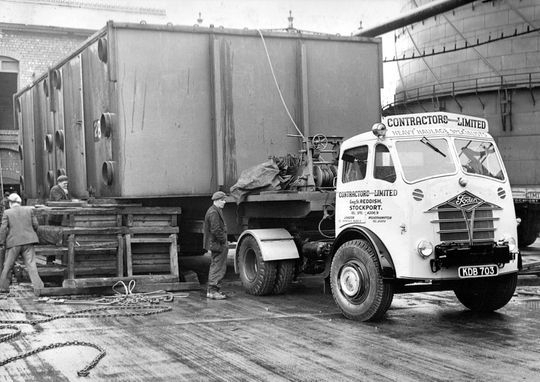 The year is 1956 and the machinery gang are seen here during the off-loading and placing into position of a large steel vessel manufactured by the General Engineering Co Ltd of Radcliffe. 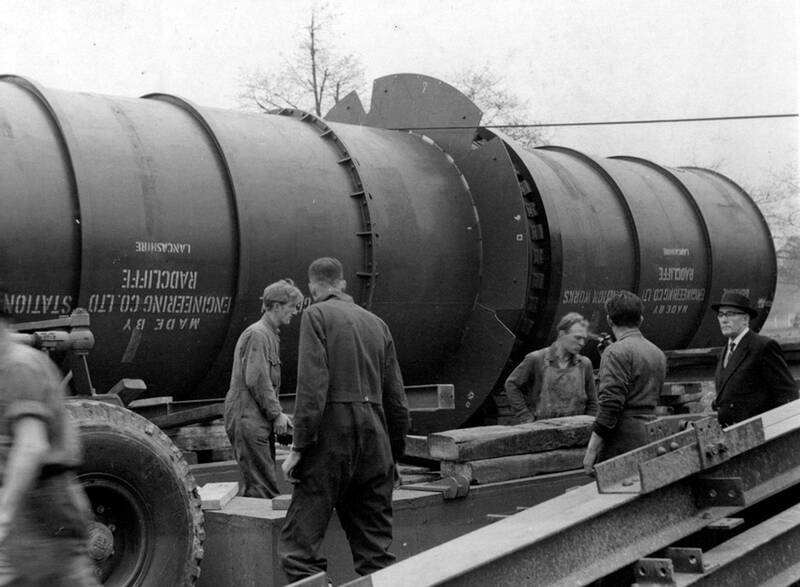 Another shot of the machinery gang in action in 1956 during the placing into position of a large steel vessel manufactured by the General Engineering Co Ltd of Radcliffe. 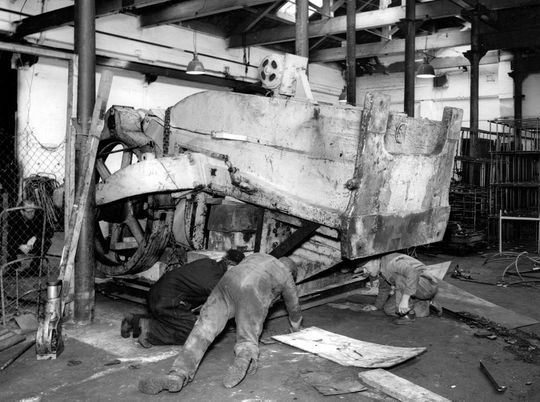 The machine gang are seen here at work in 1958 getting to grips removing a large piece of machinery that drove the looms in one of the many cotton mills that existed at that time in Lancashire. 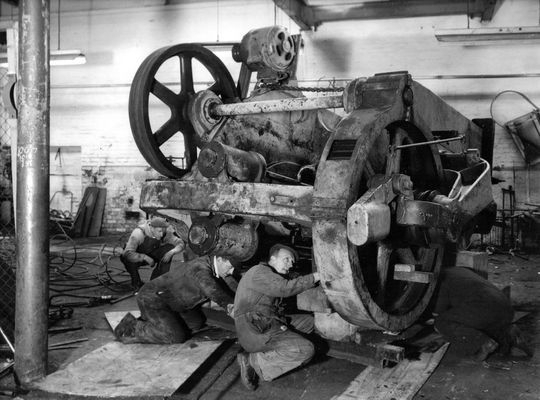 Another shot taken in 1958 as the machine gang prepare a large piece of machinery for removal from one of the many cotton mills that existed around Lancashire at that time. The gang get to grips with yet another large piece of machinery. 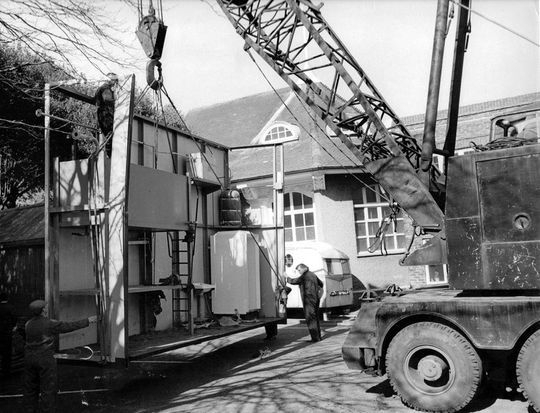 Using plenty of wooden blocks and jacks it was a back breaking task maneuvering it into a suitable position for it to be loaded onto a low-loader. 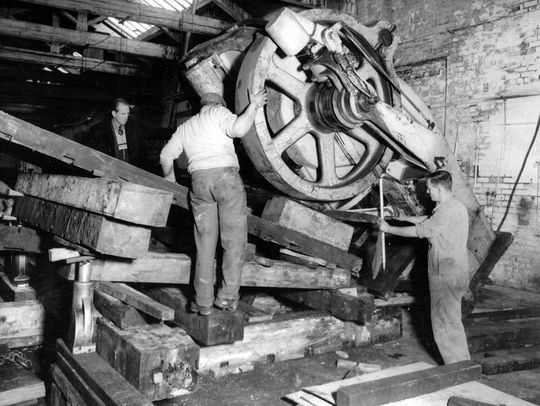 Another example the machinery gang moving a large piece of machinery using wooden blocks and hydrolite jacks . Thames Trader four wheeler flat, fitted with an Atlas hydraulic crane, is parked up while the 'machinery gang' get to grips using hydrolite jacks in preparation to move a large Noble & Lund machine press. 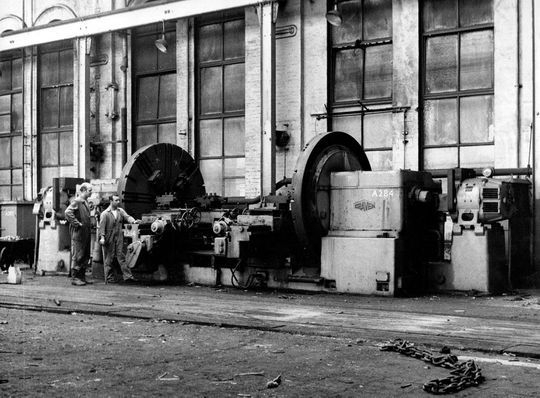 Two of the machinery gang are pictured taking a look at a large Craven Brothers machine tool in preparation for it to be moved out of the factory. 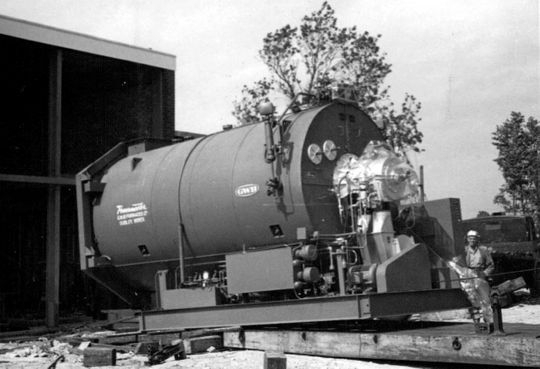 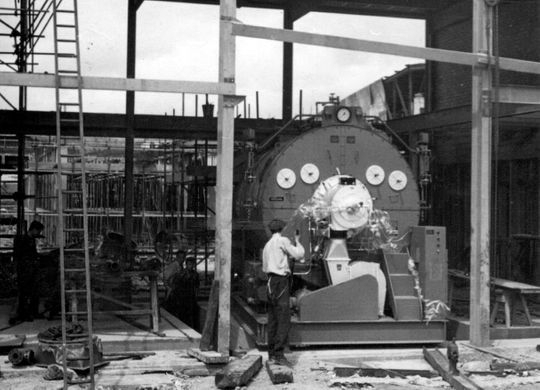 The machinery gang were also experts at unloading and installing all various kinds of equipment including this Powermaster automatic boiler manufactured by G.W. 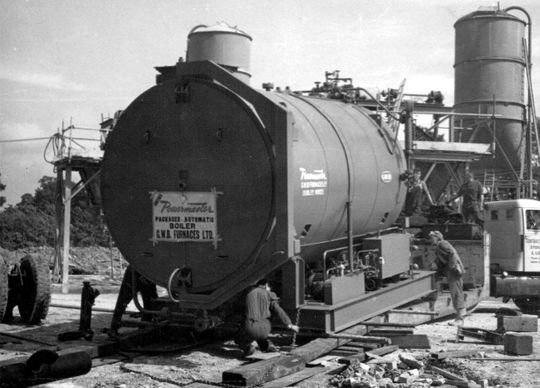 Furnaces Ltd of Dudley. 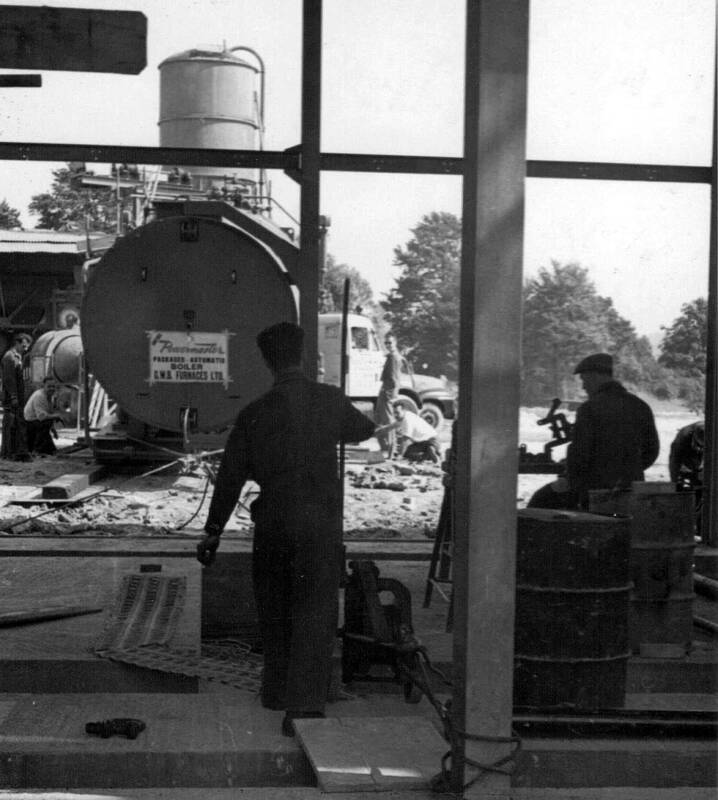 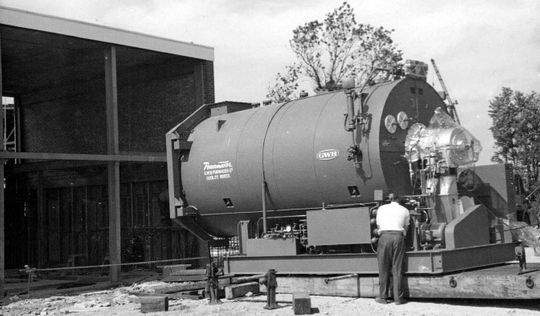 In the first of a series of pictures, depicting the delivery and installation of the new boiler in 1956, we see it here shortly after arriving on site with the machinery gang ready to go. After removing the rear four-in-line axle the gang get set to work unloading the boiler from the low=loader using wooden blocks, jacks and steel rollers. 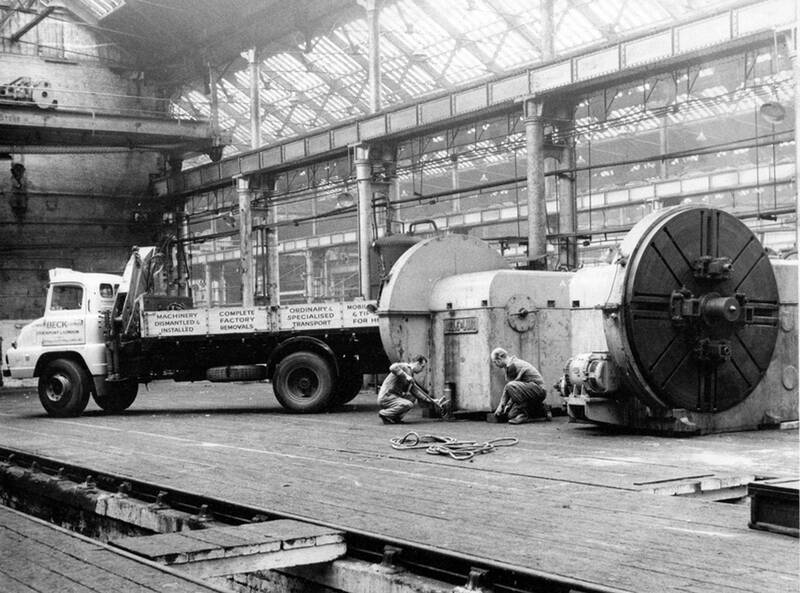 The large boiler is slowly winched off the low-loader using chain block and tackle and steel rollers. 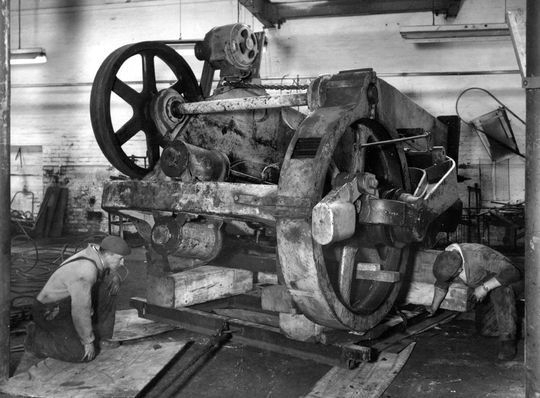 Using the chain block and tackle, with the steel rollers underneath, the boiler is hauled into position inch by inch. 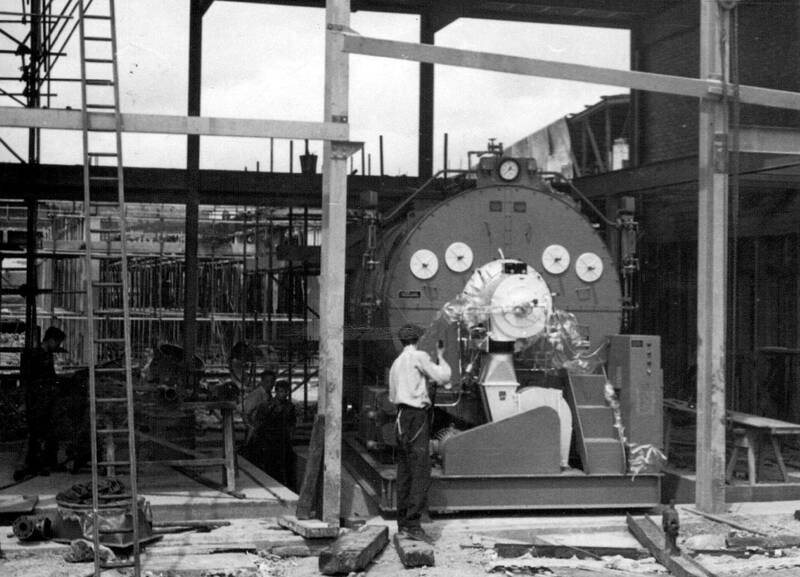 Almost there as the large boiler is installed into its final position after which time construction of the building continued sealing the boiler inside and protecting it from the elements. The machinery gang get to task with a large heat exchanger destined for the North Thames Gas Board at Kensal Green London. They are seen here jacking it up in preparation for it to be loaded on to a low-loader. 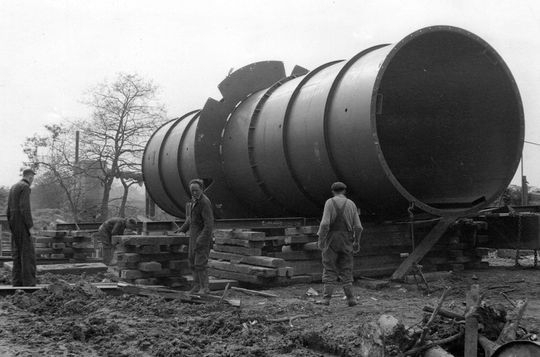 After using a combination of wooden blocks and jacks the machinery gang have managed to give this large steel vessel enough clearance for the semi low-loader to reverse beneath. The machinery gang are pictured here during the construction of a temporary building at Harrow Middlesex in 1960.